Grateful Friday - Thanking You - Reclusive Fox ""
I’m sure these grateful Friday posts are making me notice the passing of time more than ever! Oh well, I guess I better speed on with the list before the week comes to an end. Positive feedback. I have received some lovely comments on several posts on here but there were a few on Positive Self – Loving You that really did warm the cockles of my heart, plus some kind mentions on Twitter too. Thank you. I adore sitting at my desk and writing while the rain falls down hard outside. Not sure what it is but I find it almost romantic in a way and I enjoyed Tuesday’s workload so much more because of the wetter afternoon. Being able to give my readers something in return thanks to Laundry Boutique. Use code RECLUSIVEFOX10 at the checkout to get 10% off your order – valid for UK readers for the next six months (sorry to my other audiences, hopefully I’ll have something for you soon too). Looking healthier – I’m a pale looking gal most the time and this week I was a gorgeous golden brown (and I plan to be for the next few weeks too!). If you haven’t checked out my Urban Tan review you can do so by clicking here and remember to enter the Urban Tan giveaway that opened today too. Knowing there’s only one week left until the summer holidays! The promise of a sunny weekend. I do love to work in the rain but I also love to sit in the garden and soak up some Vitamin D (covered up of course!). There’s my Grateful Friday list, what’s on yours this week? Ahh, writing when it’s raining is lovely! Especially when you can smell that fresh rain smell. 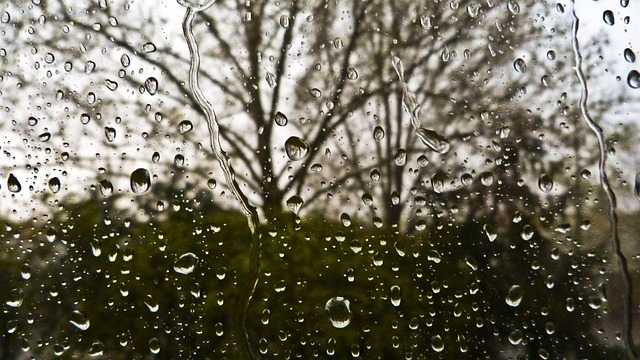 I love the sound of the rain on the windows (as long as I’m safely inside). It’s looking like it will be a fabulous sunny day here today – and I’m working at a school event this afternoon, so I hope it brings out the customers!